‘Pieluni’ is the estate’s top selection, made only in the best vintages. 2000 was the first vintage ever produced. 100% Montepulciano from new vineyards, trained in the counter-espalier method with more than 5,000 vines per hectare (average production is 70-80 quintals per hectare). 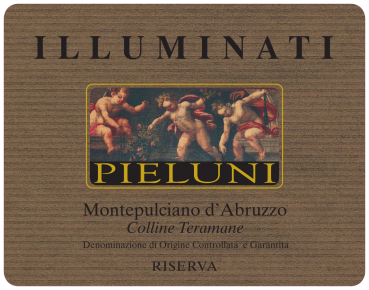 Pieluni is rich and opulent due to a slightly late harvest, it sees 2 years of ageing in barriques (50% new and 50% of 2nd or 3rd use). Reminiscent of blackberries, plums, raspberries on the nose with hints of vanilla, tobacco, liquorice; greatly structured in its aromas. With a perfect balance on the palate between mellowness and tannins showing a clean flavour full of harmony. It is an elegantly structured wine, very rich, round, fleshy, and of great volume on the palate. It goes well with red meats, grilled lamb, pork, and aged cheeses. Can also be enjoyed as a meditation wine. The harvest is done manually in the last 10 days of October. The grapes are de-stemmed and lightly crushed. Maceration on the skins last 25 days at controlled temperatures. Once malolactic fermentation is complete, the wine is transferred French oak barriques where it remains for 24 months. It then rests another 14 to 15 months in bottle.